The Museum of the American Revolution called JPG 48 hours before I had the honor of documenting one of the most meaningful ceremonies I’ve ever attended in my life. 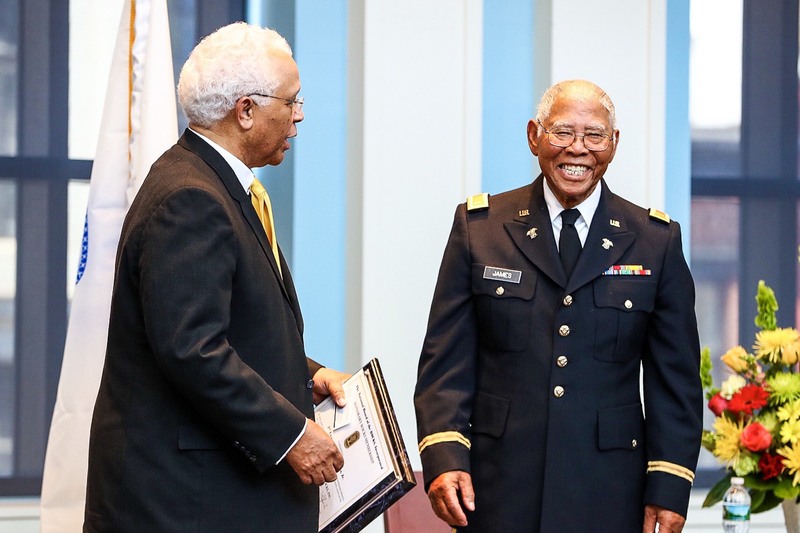 They told me about local Philadelphian John Edward James Jr., a 98 year-old WWII veteran who was denied his military commission due to his race. When I first met John, I didn’t immediately think he was the veteran. He didn’t look like a 98 year-old. 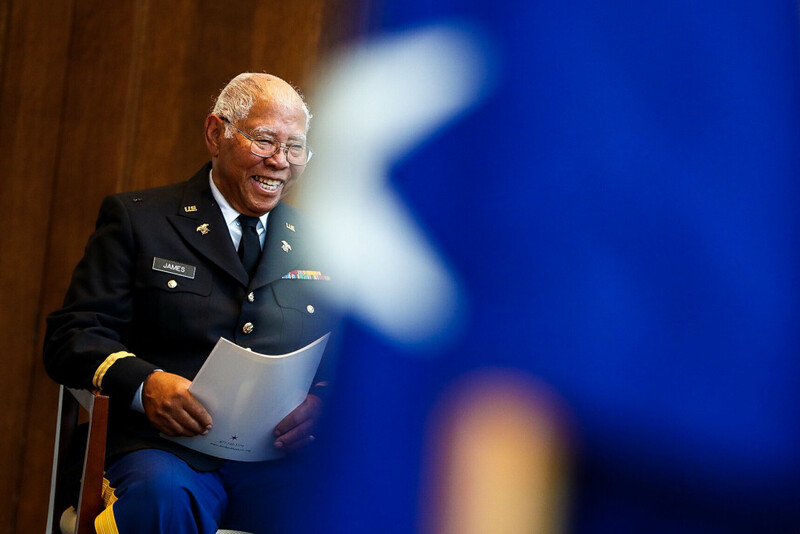 He stood steadfast and strong without a cane, and he was wearing a smile so bright you’d think he had just gotten married earlier that afternoon. Little did I know that this almost centenarian had suffered in silence for nearly eight decades. 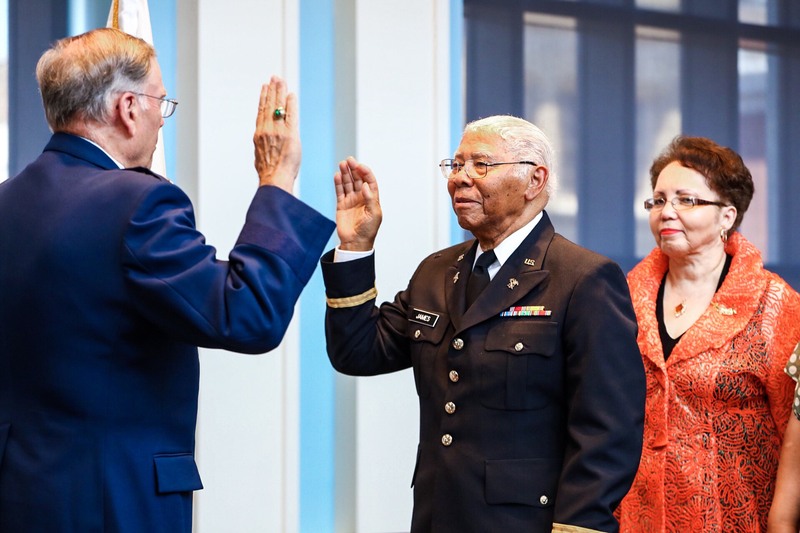 After excelling at Officer Candidate School in Fort Benning, GA, John was denied his rightful commission as Second Lieutenant the day before he was supposed to be promoted and sent off to fight Nazism. Nobody told John the reason behind his demotion, but he told the NY Times he knew better than to complain. This was 1942, after all. Fast forward to 2015, John is a retired Postal Service worker enjoying a life of family and fishing. One day his daughter Marion is going through the closet and finds an old officer’s training class portrait. She had some questions for her father; questions that he didn’t want to answer. He told her to throw the photo away, that it meant nothing to him. Like many soldiers returning home, John didn’t speak of his time in the service. 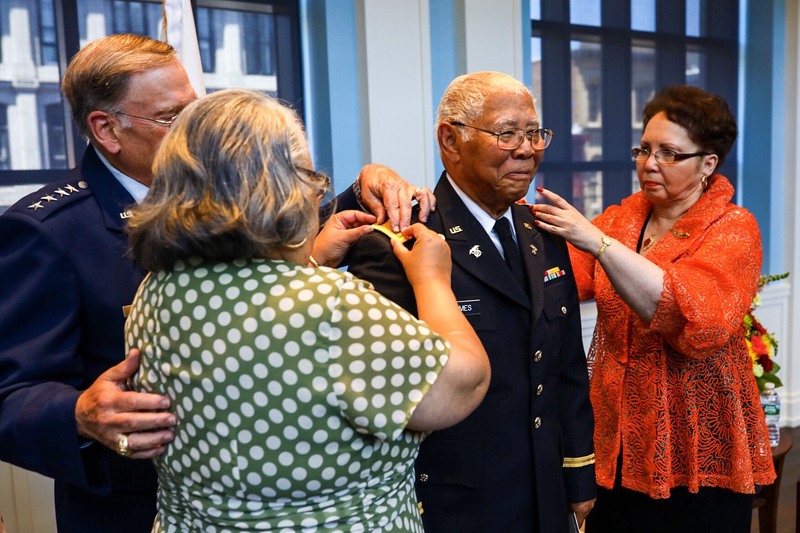 His family had no idea that he should have been a commissioned officer in the US Army. John simply shrugged it off as just another injustice in his life. His daughter, however, couldn’t give up without a fight. 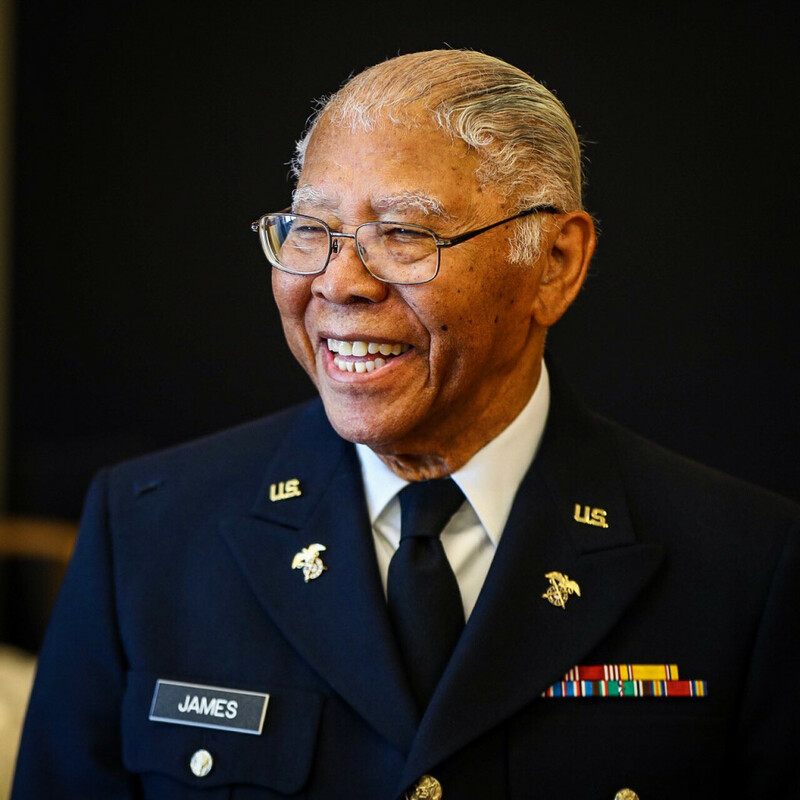 She enlisted U.S. Sen. Bob Casey, and three years of lobbying and Army reviews later, James finally “got his bars.” General Jumper, a 4-Star Air Force General, led the incredibly moving ceremony at The Museum of the American Revolution. 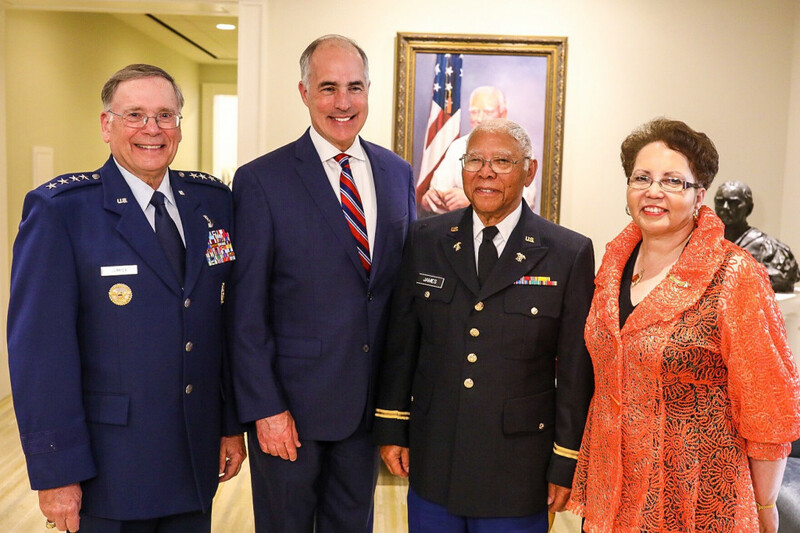 During the afternoon I spent with the humble and kind newly commissioned Second Lt., I was moved by how many people approached him to thank him for his service and call him their hero. 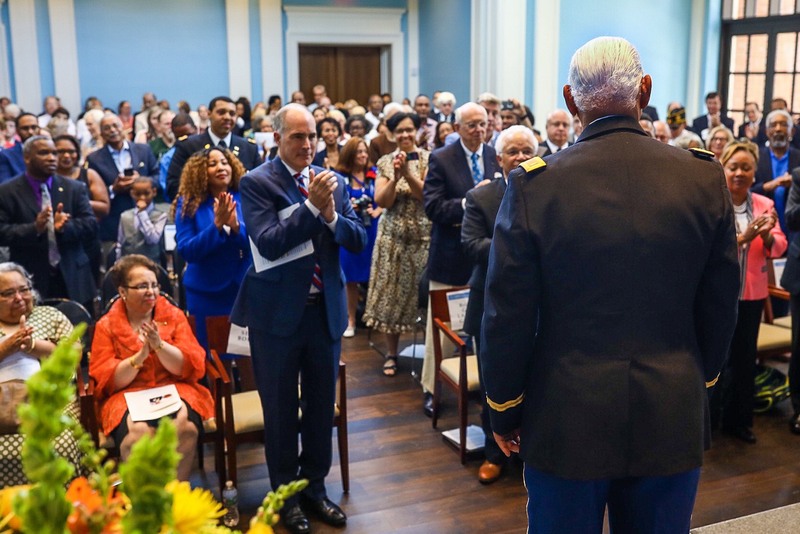 In the current political climate, it was refreshing to see a large institution like the United States Army admit that they had made a mistake. They accepted responsibility for this past injustice and gave a veteran a beautiful ceremony (albeit 76 years after it was originally supposed to happen). It gives me hope that current injustices may one day be rectified. At JPG Photo & Video, we’re experts at telling a story. 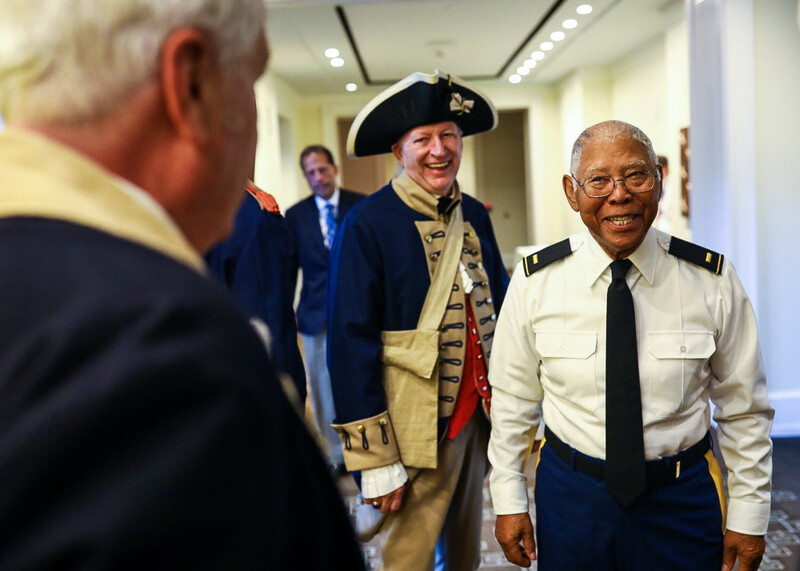 The Museum of the American Revolution trusted us to handle this once in a lifetime event because we’ve shown time and again that our professionalism and empathy make us great storytellers.